The first Tipperary Food Producers meeting of 2011 took place last week at the extravagant Inch House guesthouse and restaurant, nestled in the countryside of North Tipperary. 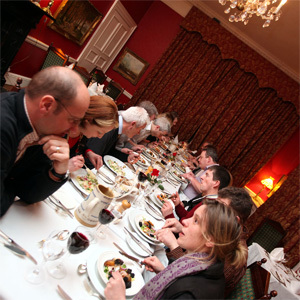 The meeting was attended by 18 enthusiastic Tipperary food producers, all eager to promote Tipperary food in 2011. We reflected on the successes of 2010 and looked forward to planning a number of new exciting events for the coming year. This year we have planned to host our long table dinner event in Ireland’s only ecovillage, Cloughjordon, Co. Tipperary. Last year’s event was held over 4 different venues and was a resounding success but this year we have decided to revert to hosting the event in one location. We hope to continue running the Food Connect programme with transition year students from schools across Tipperary and make it an annual event . Last October marked the launch of the first Food Connect programme initiative which paired local food producers with secondary schools throughout Tipperary. The Food Connect programme concluded in January with a presentation by the students to their respective producers showing what they had learned from their experiences. During the course of the programme, students from the Abbey Secondary School, who were paired with Crowes Farm, featured in an episode of Ear to the Ground on RTE 1 in late November, which promoted the programme on a national scale. It was a hugely successful initiative with great responses from everyone involved. 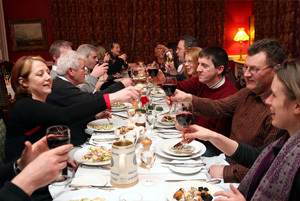 The Food Extravaganza event will be held again in late 2011 and will showcase the very best of Tipperary food. Last November the Food Extravaganza event was filmed by Ear to the Ground as part of their coverage of the Food Connect programme. The Food Connect students were heavily involved in covering the event through the use of social media along with a dedicated twitter panel. Bord Bia chef Sheila Kelly and Sarah Baker demonstrated a number of recipes on the night and master of wine Jane Boyce gave some excellent tips on decanting and pairing wines with meals. Over 400 people attended the event and next year we aim to go even bigger. The meeting of the Tipperary food producers at Inch House ended with a superb meal, which served up some of Tipperary’s finest local produce from throughout the county. 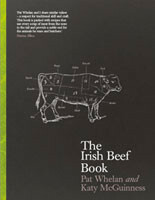 There are many more exciting developments that will be announced later in the year so be sure to check our blog and www.tipperaryfoodproducers.com throughout the year for more information.